Mahjong games like you've never seen before! It's cold outside so stay inside and keep warm as you enjoy hours of mahjong gameplay. 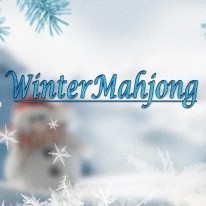 Winter Mahjong has five ways of playing mahjong as unique as the season. Fun for the entire family so pull up a chair or sit on a cozy sofa and get busy uncovering layers of tiles and clearing the entire game board. - Try using a touchscreen device!